I have participated in SSP four times, in San Diego, Smith River, Spokane, and Tsaile, all at high school sessions. Through my trips with SSP, I have acquired a plethora of memories and experiences, each of them special in their own way. A few of these include learning about the rich history of Chicano-Americans in San Diego, racing to save the beautiful Tolowa Dunes outside Smith River from invasive European beachgrass, and strategically demolishing an awning on a twelve-foot-tall deck in Spokane. If I had to choose just one significant memory, it would be from Tsaile this year. Dr. Silver Nez Perry, a Diné community leader, talked to our whole group about motivation and how to be successful in life. To hear such inspiring words come from a place one would not necessarily seek it out was especially intriguing. Silver’s words have stuck with me since then, and will be with me for a long time to come. These (and many more memories) have made SSP a formative and important experience for me. 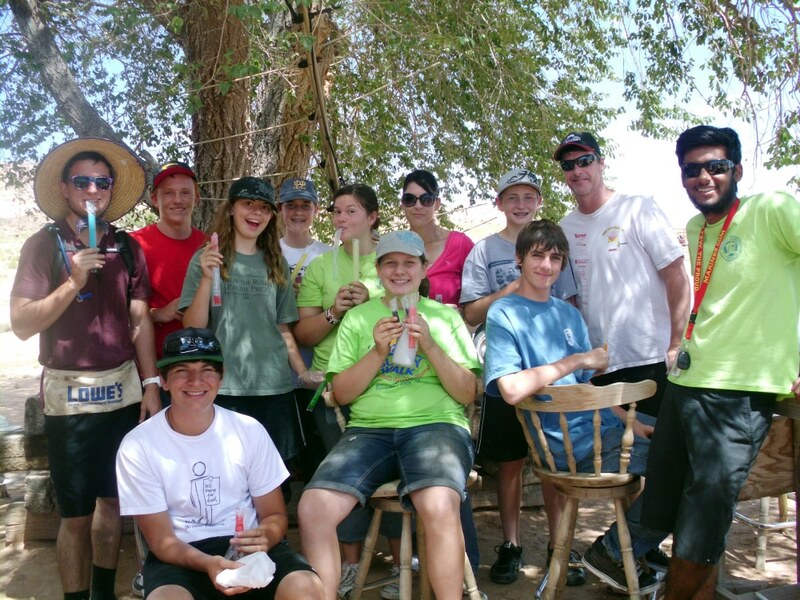 Sierra Service Project has somehow struck the perfect balance between church retreats and service projects. To be able to significantly impact the life of someone else, while simultaneously deepening your own faith and connecting with fellow Christians, is a special thing I am proud to be a part of. The duality of helping others while also helping yourself, although in different ways, is what truly has made SSP an important experience in my life that has yet to reach its final chapter. SSP has given me so many great memories. Through each of my four trips with SSP, I have become enthralled with philanthropy and the deepening of faith. When I am older, I would love to be involved in the non-profit world, to help others find that same passion. This is why I have chosen to serve on SSP’s Board of Directors, to help others find their passion through service. Serving on the Board of Directors will allow me to give back to a worthy organization, and help other teenagers take advantage of opportunities to serve with SSP. Editor’s Note: Will Wood is a senior that attends SSP with Pt. Pleasant United Methodist Church. He has been elected this year to serve as a youth representative on SSP’s Board of Directors. This article is featured in SSP’s 2018 Annual Newsletter; read all the stories written by youth volunteers, summer staff, and community members. Request a hard copy newsletter to be mailed to you. First-come, first-served registration is open for SSP's summer of 2019! If you are your group's liaison, click the button to login to your MySSP account. Youth today juggle classes, extracurriculars, and everything in between, leaving no room to breathe and grow. The pressure to be a well-rounded person sometimes compromises one’s passion. 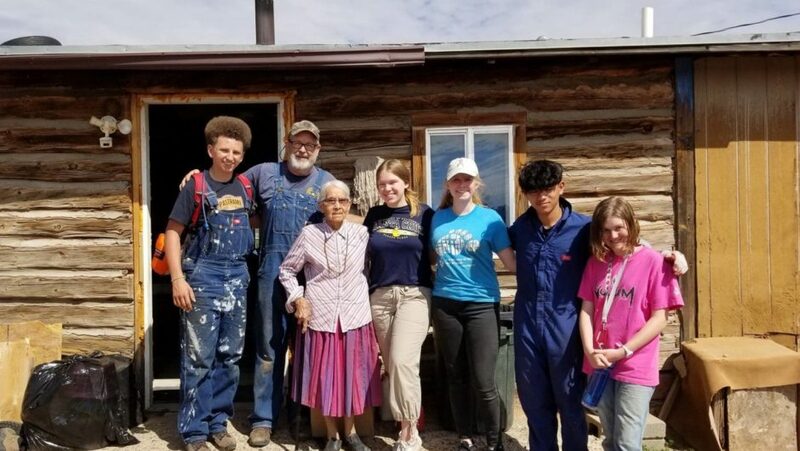 Sierra Service Project allows youth to discover not only different communities in the world, but also themselves, as they explore their own identity and passions. At least once in our lives we have been told something like, “life is about the journey.” It’s very cheesy and cliché, but also true. 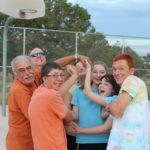 At the beginning of a week at SSP, you are plunked into a place you have most likely never been before, whether it be a gym in Chiloquin, or the red clay of Tsaile, Arizona. You are in new surroundings, with new people. You find yourself embraced by an open community who wholeheartedly accepts you, for you. Throughout the week you discover new things you never would have known otherwise, about yourself and others, in a safe and nurturing environment free of judgment; a safe haven. I have always struggled with my faith. Growing up, I was taken to church every Sunday, and sat in the same pew between my parents while the pastor proceeded with their sermon. My first time attending SSP sharply contrasts with my most recent summer trip in 2018. The main aspect that has altered my entire relationship with my faith is my overall confidence. Before SSP, I never took notice of how seldom I dedicated myself to growing my faith. It was a topic I never thought to explore for myself. My natural instincts led me to piggyback on the ideas of my parents, or popular beliefs. I always labeled myself as a Christian and attended church, but failed to interpret God’s teachings for myself. Sierra Service Project helped me open myself to the world, resulting in me opening myself to God. Seeing God’s work in action proved to me, that good exists in this world of hurt; it just needs to be facilitated; igniting a new hope in me. SSP allows youth to see the bigger picture of the world; both good and bad. The SSP experience puts the world into perspective. The overall message of Sierra Service Project is to provide service to others above self, and contribute to the betterment of communities in need. 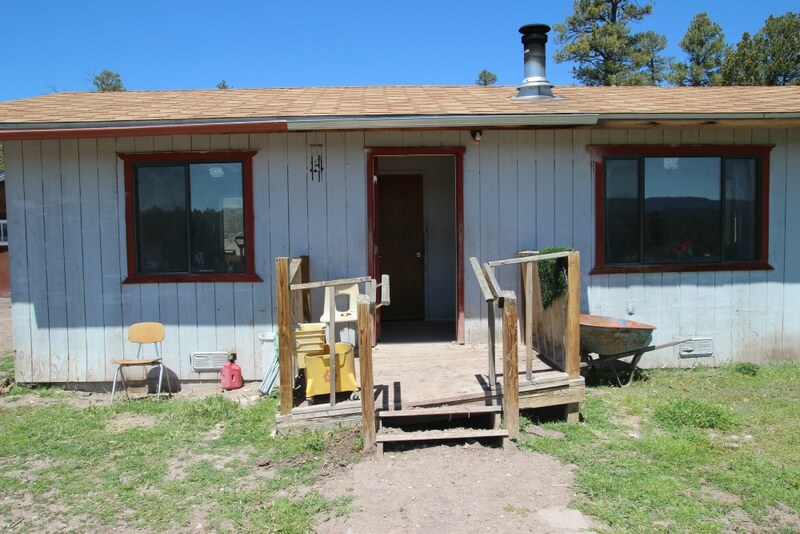 I will never forget my first year at SSP in Tsaile, Arizona, where our work team had just finished the top of a wheelchair ramp. The homeowner, Mary, no more than five feet tall. Every day we worked on her ramp, she would sit under a tree in a chair, with assistance from her nephew. On our last day, Mary took her first stride out of her house by herself. This was Mary’s first time stepping outside without assistance in a long time. Even though Mary didn’t speak a single word, her tears and strong hugs were enough to bring our work team to joyous tears. This moment made me realize – this is God’s work. Sierra Service Project truly shows in order to see good in the world, you must put good into the world. There is an active love felt by every single person involved that promotes a foundation of growth and providing service above self. As a participant, you learn there are so many things much bigger than you happening in the world. This, in turn, opens your perspective to the world and your ability to create change. Editor’s Note: Andrea Maniti is a senior that attends SSP with Vista United Methodist Church. She has been elected this year to serve as a youth representative on SSP’s Board of Directors. This article is featured in SSP’s 2018 Annual Newsletter; read all the stories written by youth volunteers, summer staff, and community members. Request a hard copy newsletter to be mailed to you. Returning to Tsaile, AZ was an interesting and amazing journey for me. The last time I was in Tsaile was in 2013 as a youth volunteer, and now I was finally able to return to go on a site visit with my Site Director Jacob White and SSP’s Communication’s Coordinator Pascal Domicone, who was the Tsaile Site Director in 2013. 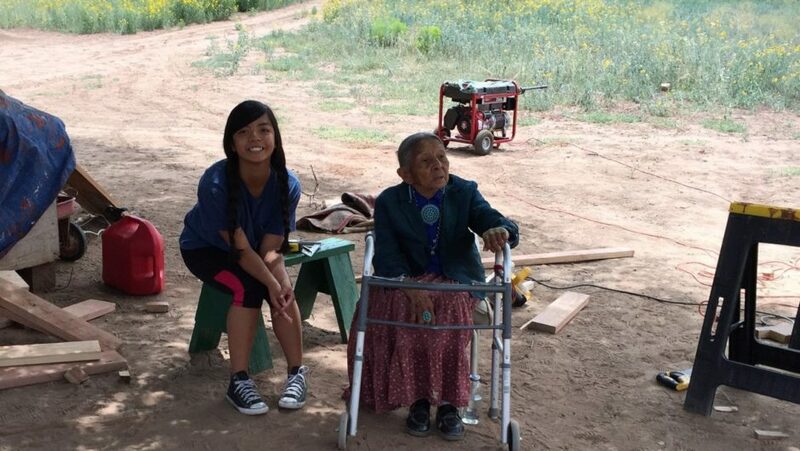 The Navajo Nation will always have a special place in my heart. I started my SSP experience there in Teec Nos Pos and returned 2 years later to Tsaile, and I am now fortunate enough to be able to serve the community in Tsaile again. Johnny, back row second from left, with his work team in Teec Nos Pos, AZ in 2011. 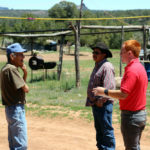 Johnny, right, during program in Tsaile, AZ in 2013. 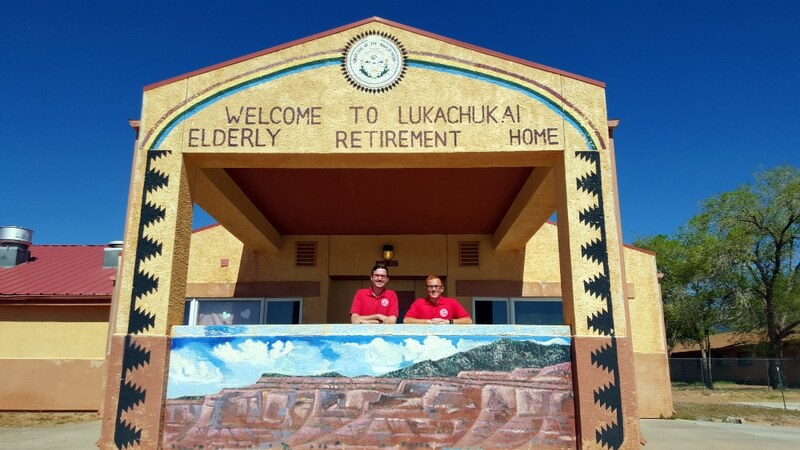 Johnny, right, with Tsaile Site Director Jake White at the Lukachukai Retirement home in Tsaile, AZ 2016. 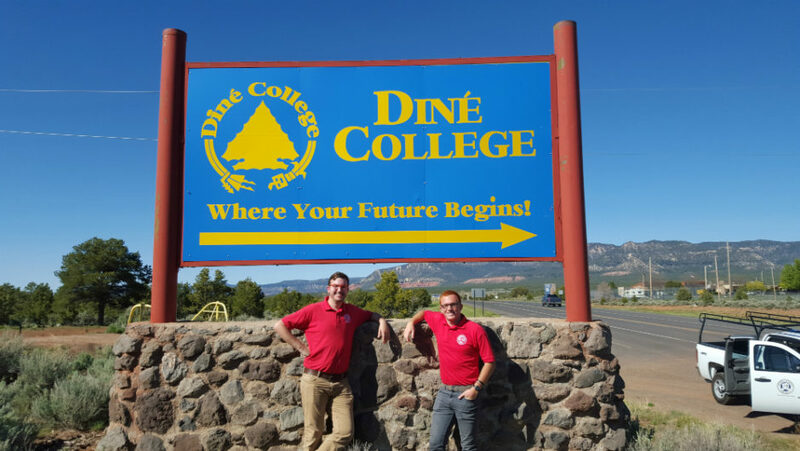 The first day of our site visit consisted mostly of traveling and reaching Chinle, where we stayed the next few days because there are no hotels in Tsaile. 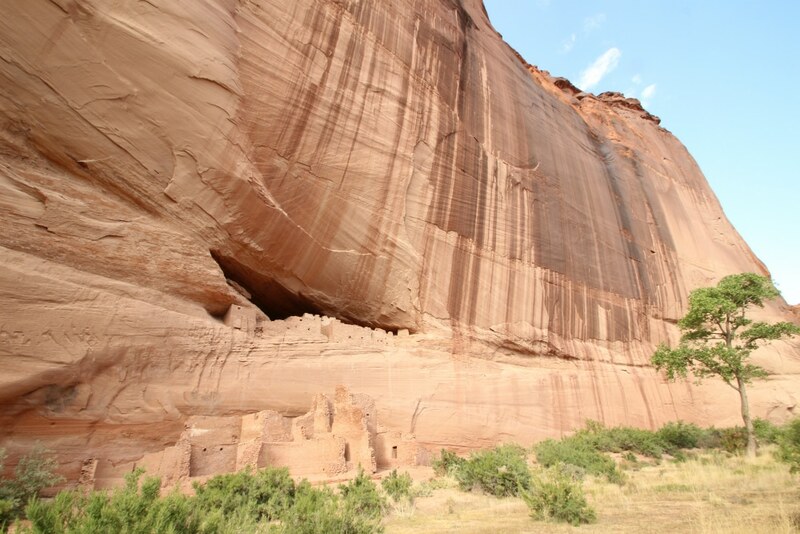 On our way to Chinle, we made a stop in Canyon De Chelly, a large canyon just outside of town. The White House Trail takes 2.5-3 hours roundtrip and leads you to these ruins that were used as housing nearly 1,000 years ago. That rock face is 600 feet tall! We took a short hike down to the White House Ruins in the canyon, which is the only hike visitors are allowed to do without a certified Navajo Guide. Seeing the ruins and reading about their history was a great experience that allowed me to learn a little more about the amazing history and culture of the Diné people. On Adventure Wednesdays this summer there will be an option to do this hike! After a few minutes, Walter was walking back up to the house behind us and immediately started cracking jokes and having a good time. 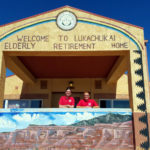 In Tsaile, we work with the Tsaile/Wheatfields and Lukachukai Chapters to complete home repairs. Most of our site visit was spent visiting homes of community members and taking notes on the work they were requesting to be done. The visit that stuck with me the most was at the home of a man named Walter. 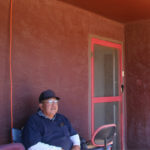 When we arrived to his home, we were talking with his wife about possibly building a porch or painting the outside of their home. After a few minutes, Walter was walking back up to the house behind us and immediately started cracking jokes and having a good time. 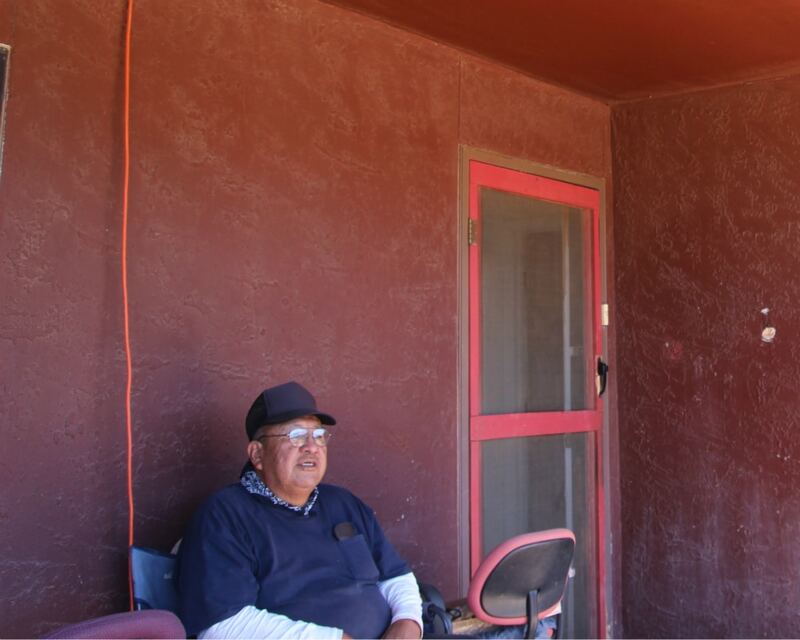 Walter, a homeowner in Tsaile, on his porch that needs repair and painted. 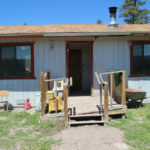 This home belongs to an elderly man who is complete blind. We’ll be giving him a brand new, much safer, deck! 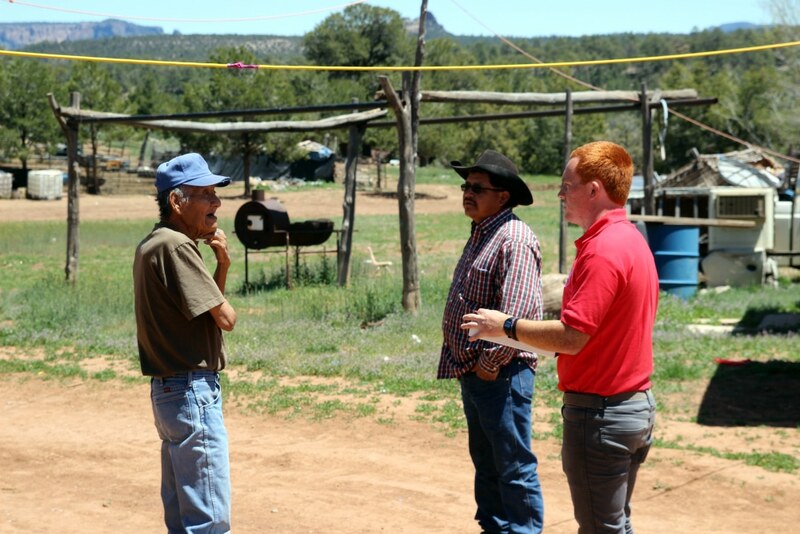 Johnny, right, talking with a homeowner about fixing his roof. Volunteers at SSP are doing real work and being exposed to people and being put outside of their comfort zone, so that they can grow as a person, in ways they can’t get anywhere else. This is what serving through SSP means to me. It’s not just about going to a community that needs service and getting work done, it’s about connecting with the people you’re serving. It’s about learning about an entirely different culture and gaining an appreciation for the way other people lives their lives. Volunteers at SSP are doing real work and being exposed to people and being put outside of their comfort zone, so that they can grow as a person, in ways they can’t get anywhere else. Editor’s Note: See more photos from the Tsaile site visit. 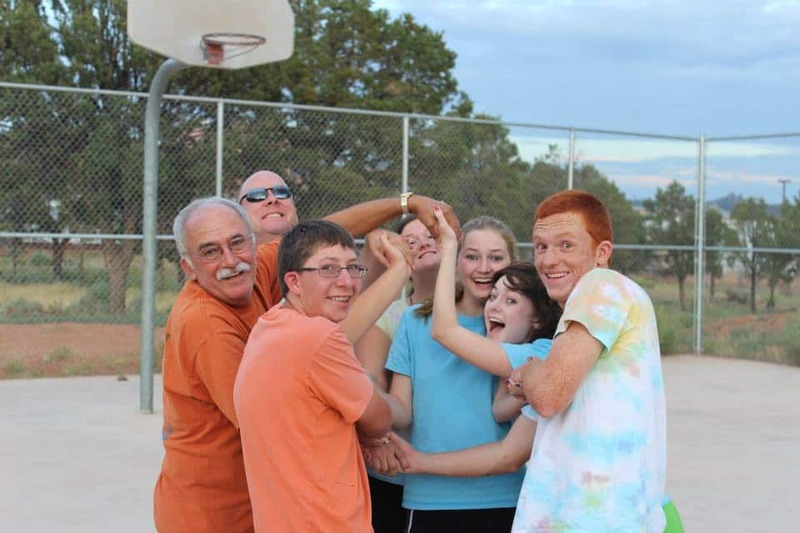 There is still some availability in Tsaile and our other site locations for groups and individual high school youth!